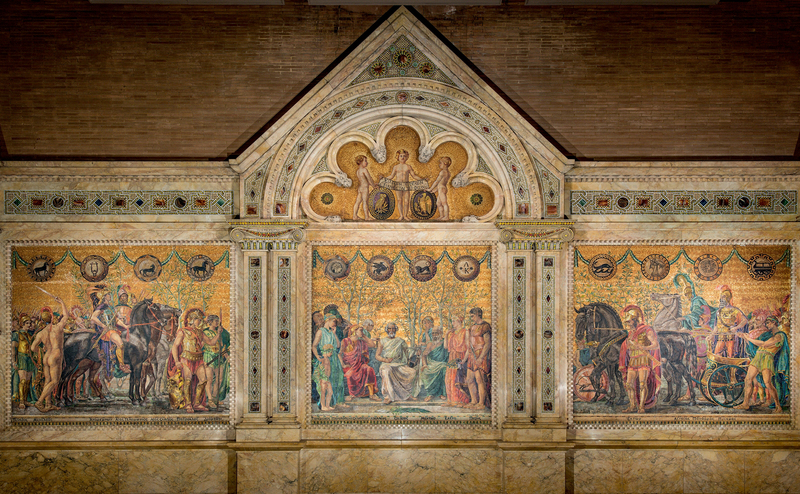 The art of mosaic was new to Americans in the late 19th century, and the public was fascinated by the elaborate construction methods almost as much as the finished works themselves. Louis C. Tiffany capitalized on this interest and held exhibitions of both recently completed and in-progress commissions at his New York City showrooms and studios. 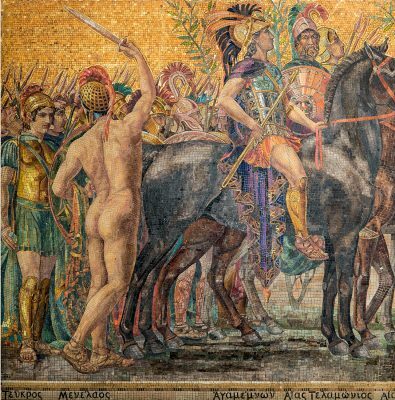 In 1897, The New York Times reported, “It was before the incomplete glass mosaics and inlays that visitors halted longest, watching the process of construction.” One of the murals in progress that day – Heroes and Heroines of the Homeric Story, designed by Jacob A. Holzer (American, b. Switzerland, 1858-1938) and installed at Princeton University, New Jersey – illustrates the labor-intensive and collaborative process of making a mosaic. Each commission began with one of Tiffany’s artists, like Holzer, creating a watercolor design that was submitted to Tiffany and to the client for approval. Once accepted, a full-scale line drawing, called a cartoon, was created. It was traced onto transparent linen, which was then mounted to a board, or easel, and coated with a thin layer of wax that would hold each small piece of glass in place as the picture came together. Large designs were divided into sections and mounted on separate boards to make fabrication more manageable. Glass selection and cutting was carried out by trained artisans, both men and women, who possessed, according to an 1898 article in The Art Amateur, “a good eye for color, taste, and infinite patience.” The front surface, or face, of the mosaic was always turned toward the artisan so that every detail could be seen as the work unfolded. 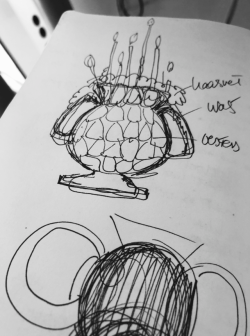 The original sketch was set next to the easel for easy reference. Work commenced slowly and methodically; a single life-size figure, for instance, might take three months to complete. Tiffany’s mosaics were cut using the same tools and techniques as the glass in his windows and lampshades. A diamond-tipped or steel wheel glass cutter was used to cut the glass, and a pair of soft metal pliers, or groziers, was used to “chew” away the edges to refine the shape of the piece. Fabrication was a painstaking process. Custom-shaping each piece of glass took time, as did scouring hundreds of glass sheets to find an area with just the right hue or texture to convey a particular detail. 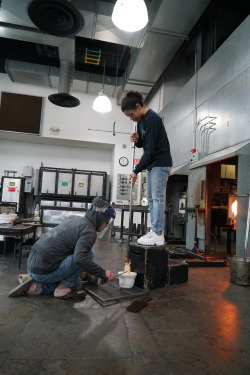 As each piece of glass was selected, cut, and contoured, it was applied to the wax-covered easel. Once the cutting was complete, the easel was laid flat. Oiled paper was adhered to the surface of the glass to stabilize the design. The mosaic panel was then laid face down and the linen backing was carefully removed. Plaster was poured over the glass to fill every crevice. Once hard, the panel was turned face up and the oil paper was removed. Finally, the front of the mosaic was thoroughly cleaned and prepared for installation. Executed detail of mosaic, including the head of Patroclos. Photo: The Corning Museum of Glass. Because Heroes and Heroines of the Homeric Story measures 10 by 35 feet and includes more than 30 figures, six horses, an ornate chariot, and numerous elaborately decorated shields, it is no wonder that this complex design took some two years to execute. 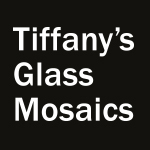 Tiffany’s Glass Mosaics is on view at The Corning Museum of Glass May 20, 2017, through January 7, 2018. Learn more about the exhibition. Lindsy R. Parrott is the director and curator of The Neustadt Collection of Tiffany Glass. 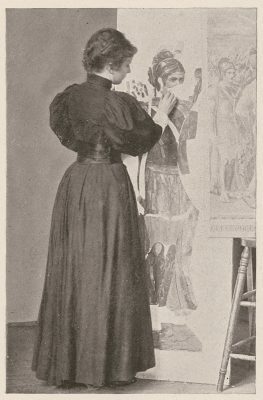 During her 13-year tenure, her scholarship and exhibitions have focused on Louis C. Tiffany's leaded glass windows, lamps, and opalescent flat glass. She previously held positions at The Charles Hosmer Morse Museum of American Art in Winter Park and the Norton Museum of Art in Palm Beach, both in Florida. 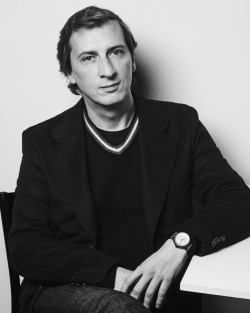 Parrott is the co-curator the special exhibition "Tiffany's Glass Mosaics" and the co-editor and a contributor to the accompanying publication.